The next major phase of the drawdown of Marine forces in Afghanistan is nearly complete. Thousands of Marines have returned from Helmand province in the last few weeks, leaving behind a smaller force that is focused primarily on partnered security force assistance with Afghan National Security Forces, rather than offensive operations. Marine officials declined to say how many Marines remain, but have acknowledged previously that there could be as few as 7,000 by October. The overall number of U.S. forces in Afghanistan this fall is expected to drop to 68,000, the approximate same number as when President Obama ordered a surge in forces to 108,000 in December 2009. Marine forces reached a high of about 21,000 last year. 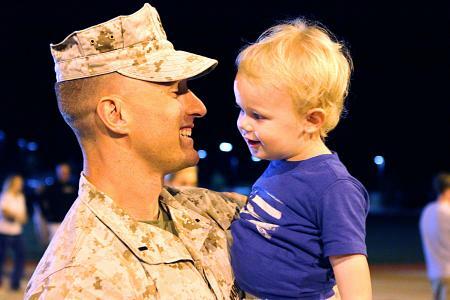 One high profile change in the drawdown occurred this week, when about 130 Marines with the headquarters staff for 1st Marine Division (Forward) returned home to Camp Pendleton, Calif., five months earlier than initially planned. The division, commanded by Maj. Gen. David Berger, oversees combat operations across Helmand province. Berger remains in Afghanistan with about 20 or 30 other Marines from 1st MARDIV (Fwd. ), but many of the unit’s responsibilities are now handled by Regimental Combat Team 6, commanded by Col. John Shafer, said a Marine official with knowledge of the drawdown. RCT-6 oversaw combat operations in northern Helmand for most of the year, but was pulled back to Camp Leatherneck, the Corps’ largest base inAfghanistan, in July. It isn’t just the division at Leatherneck that is being cut, either. The headquarters battalion staff for both 3rd Marine Aircraft Wing (Forward) and 1st Marine Logistics Group (forward) are facing similar drawdowns, although the cuts vary by component based on shortcomings that Afghan forces have in logistics and aviation. The cuts will be tailored, rather than having II Marine Expeditionary Force (Forward), commanded by Maj. Gen. Charles Gurganus, shrinking to resemble a textbook Marine expeditionary brigade, officials said. Other units continue to deploy, however. First Battalion, 1st Marines, out of Pendleton, arrived in Afghanistan a few weeks ago, around the same time that 1st Battalion, 8th Marines, out of Camp Lejeune, N.C., returned home. Other infantry units currently in the fight include 1st Battalion, 7th Marines, out of Twentynine Palms,Calif. ; 2nd Battalion, 5th Marines, out of Pendleton; and 3rd Battalion, 8th Marines, out of Lejeune. Gen. John Allen, the top commander in Afghanistan, told reporters at the Pentagon on Thursday that there is about 28 months left in the mission for the International Security Assistance Force, which is based in Kabul and oversees all coalition forces. Afghan forces now sustain most of the casualties in combat, but have showed resilience that sends a powerful signal to insurgents, he said. Who is kidding who? If everything went perfect the insurgency is still 41 million strong in Afghanistan and Pakistan. Not counting Jihadist from around the world. Against a fragile Afghan force of 350,000, with 10′ of 1000’s of deserters and probably more corupt members. Who sent the troops in harns way to begin with such lofty goals and a lame statagey. Truley unbelieveable and obscene! The previous comment by Tom James doesn’t match the tone or topic of the article. In fact, the comment is such Non Sequiter that it’s highly indicative of an anti-war spam hack. This is great news. As I’ve said before, put me in the camp of folks who say it’s time to get out of there. We’ve done our part to try to help them, but as a whole, we’ve been roundly rejected. Let’s hand them the keys and wish them well.